The future of your business, rides on the decisions you’re making today. Leading companies are leveraging Cloud + Data to create entirely new client experiences, adapt at speed, and reinvent industry business models. This half-day event brings CIO´s and senior practitioners, working with analytics, cloud, infrastructure and architecture in one place, to learn and discuss ways to meet the changing need of business with Cloud and AI. The event offers concrete customer cases from different industries and companies. International keynote speakers and experts, as well as more focused breakouts and several possibilities for networking. You will get insight in how to innovate with the latest technologies and data, to gain the flexibility and control your need to deploy in multi-cloud environments. The summit ends with a presentation on Watson in Space and our inspirational speaker: Christer Fuglesang, Swedish physicist and an ESA astronaut. Today’s competitive environment is one of constant digital reinvention, characterized by new client experiences, and entirely new digital business models. In fact, 68% of executives in the 2018 IBM C-suite study expect to focus on customer experiences as a top priority. To transform their unique enterprise requires an understanding of the latest technologies, from AI and Machine learning, to IoT and blockchain. This session will unpack the latest disruptive technologies innovations on cloud, showcasing real enterprise transformations stories across industries. 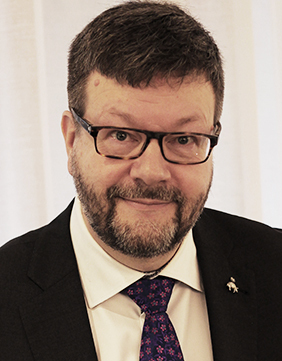 Mikael Haglund has worked with different aspects of IT solutions and innovation for more than 30 years. As technical spokesperson for IBM in Sweden he is spotting and evangelizing about coming trends. He has experiences from chasing nano seconds in system designs, to business model discussions in business platforms, and works to accelerate and drive innovation and transformation for clients in Sweden. In his spare time he makes music in the synth duo Thinkingmachine. Smarter businesses apply AI to learn and continuously evolve the way they work. To extract full value from AI, companies need a data strategy that gives them access to all their data—no matter where it lives— in a trusted environment to produce insights that easily scale across their organizations. 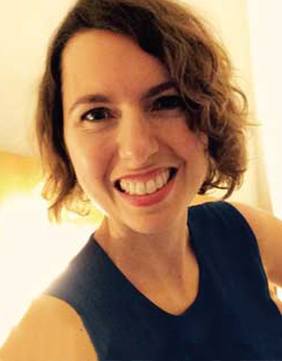 Learn how IBM provides the tools you need to accelerate your journey with an end-to-end AI development life-cycle, while enabling professionals to gain the most from their data using the entire spectrum of data science, artificial intelligence and machine learning. .
Lisa has been with IBM for 11 years. She started her career in Human Resources. 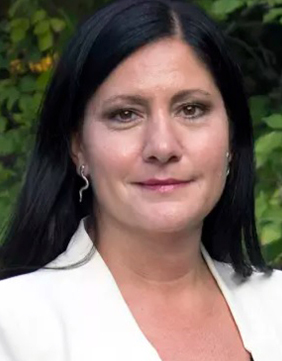 After moving into Sales in 2010, she held several positions in Infrastructure, Cloud and Data Management, before taking on her current role as Watson Data & AI Sales Leader for Europe. Lisa holds a Master's in Business Administration from Warwick Business School. When she is not working for IBM, she likes to travel, paint, cook, and get involved in creativity & innovation projects. Meeting the changing needs of your business with a cloud that adapts to your unique needs. 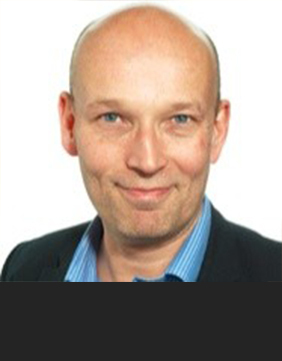 Johan Westman has worked in IT for over 25years, working with a wide range of industries and technologies in strategic, leading and advisory roles. Johan spent 14years at IBM before joining a global med-tech company in 2008 where he was CTO and head of Global IT Operations for six years, driving restructuring and modernization of IT within the constraints of FDA regulatory requirements. 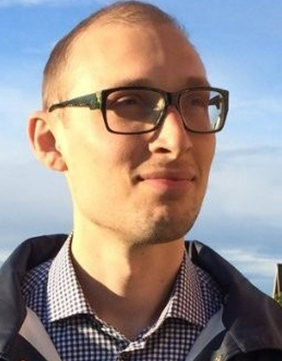 Johan re-joined IBM in 2016 after two years at Oracle where he was lead for the Nordic Enterprise Architects. 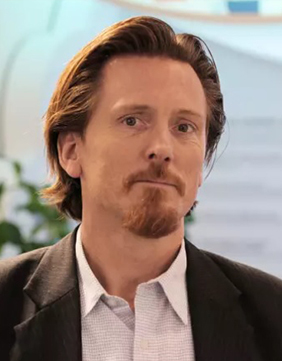 Recruited back toIBM again Johan joined the global Cloud Advisory team and in 2017 moved on tothe new Cloud & Cognitive team, focused on driving change with IBM clients, leveraging IBMs capabilities as a cognitive and cloud platform company. Join us in this session to get insight into how to speed app development and modernization in your multi-cloud journey. 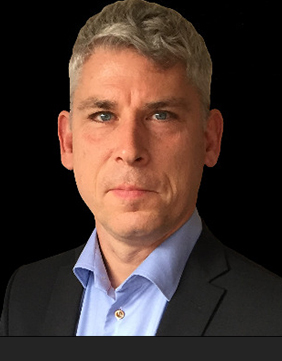 Johan Rodin is Technical Sales specialist within IBM Cloud in Sweden and the Nordics. 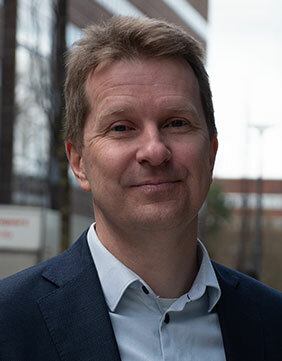 With more than twenty years of experience in the software industry, Johan is combining his deep knowledge in computer system architectures with an understanding of the challenges today's businesses face going into the cloud era. Currently, Johan is focusing on IBM Cloud Private, a modern kubernetes based platform from IBM for running cloud workloads in your data center. Examples on how Watson has been used in Sweden; from start-ups to larger organisations. In June, German astronaut Alexander Gerst will embark on his second six-month mission to the International Space Station (ISS), serving as station commander in the second half of his stay. On this mission, Gerst and his team will receive some unusual support: CIMON (Crew Interactive Mobile Companion) will be on board – a medicine ball-sized device, weighing about 11-pounds. CIMON’s digital face, voice and use of artificial intelligence make it a “colleague” to the crew members. Using IBM’s Watson technology, CIMON, will help astronaut Gerst to perform three tasks: Together they will experiment with crystals, solve the Rubik magic cube based on videos and conduct a complex medical experiment using CIMON as an ‘intelligent’ flying camera. 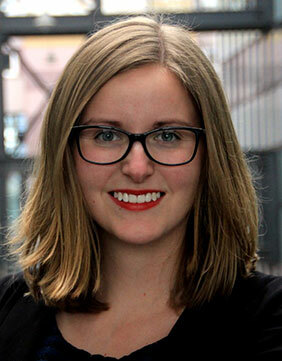 Sophie Richter-Mendau joined IBM in 2013 when she did her Bachelor of Arts in International Business Administration. Today, she consults companies as a Technical Sales Specialist for Analytics and AI Solutions at IBM and had the possibility to work on several customer projects, where she just recently designed the personality and voice interaction system of the Crew Interactive Mobile Companion (CIMON) to assist astronauts on the International Space Station. Besides, Sophie is just about to finish her Master of Science in Business Psychology at the Nordakademie Graduate School in Hamburg, researching on future trends of human-machine-interaction and the benefits of using psychometrical tests in business applications. 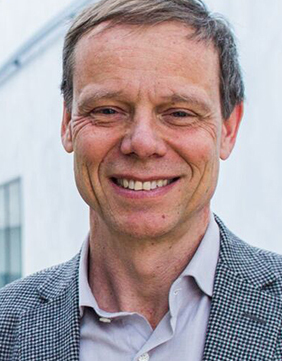 Christer Fuglesang is a Swedish physicist and an ESA astronaut. He was first launched aboard the STS-116 Space Shuttle mission on December 10, 2006, making him the first Swedish citizen in space. He was a Fellow at CERN and taught mathematics at the Royal Institute of Technology before being selected to join the European Astronaut Corps in 1992. He has participated in two Space Shuttle missions and five spacewalks, and is the first person outside of the United States or Russian space programs to participate in more than three spacewalks. Beyond optimizing the tasks we already do, AI enables entirely new ways of doing business. But where do you start? Learn what data they brought to the table, the time to value for AI, and the outcomes you can expect with Watson. Did you know that weather disrupts businesses to the tune of half a trillion dollars a year? To better weather the storm, you need the power to act on insight, not just react to consequences. We will take you on a journey of how we help businesses like yours take action against the most pervasive disruptor on earth. Through world-class weather data, forecasting science, and cognitive solutions, we are uncovering the opportunities and risks of weather: for businesses, for individuals, and for the world at large. Whatever the weather; be empowered. Time is precious. Register for one of the most important cloud, data and AI seminars in 2018. Get insight from some of the leading innovators in the area, and meet qualified peers to share knowledge, experience, and ideas. Speakers are what make events stand out. IBM´s Cloud and Data Summit is bringing the most innovative minds, practitioners, experts and thinkers on two stages to inspire and present new innovative data-driven approaches to succeed with your cloud, data and AI initiatives. Scandic Anglais at Stureplan in central Stockholm offers conference and banqueting opportunities for 2–200 guests, as well as an events capacity for 500 people on a separate floor. We look forward to your enquiry! Questions regarding delegate tickets can be directed directly to the Sales Manager, Aneta Simjanoska by email aneta (at) hyperight.com. We are only a click away. Contact us. There are only 100 tickets available for this summit. All tickets are free of charge and on first-come first-served basis. Although there is no event fee related to the registration to the event, commitment by attendees is required. In case of cancellation within 3 days before the event a cancelation fee will be invoiced in total 350 SEK plus moms. If unable to attend, replacement recommendation should be sent in written form to info@hyperight.com. Prequalification process for the tickets can also apply.